News flash: Streaming sites like Netflix and Hulu aren't the only alternatives to cable. For those looking to cut the cord with cable but still access a trove of entertainment, SelectTV is hard to beat. Boasting the world's largest entertainment library, SelectTV grants users access to more than 300,000 TV episodes, 200,000 movies, 50,000 radio stations, and 2,000 channels on all your devices, and one-year subscriptions are on sale for $19. With a subscription to SelectTV, you can tap into a massive library of TV shows, movies, live channels, radio stations and more from over 150 countries. You can search across 100+ popular streaming services/networks simultaneously and see available content from various apps all in one place. 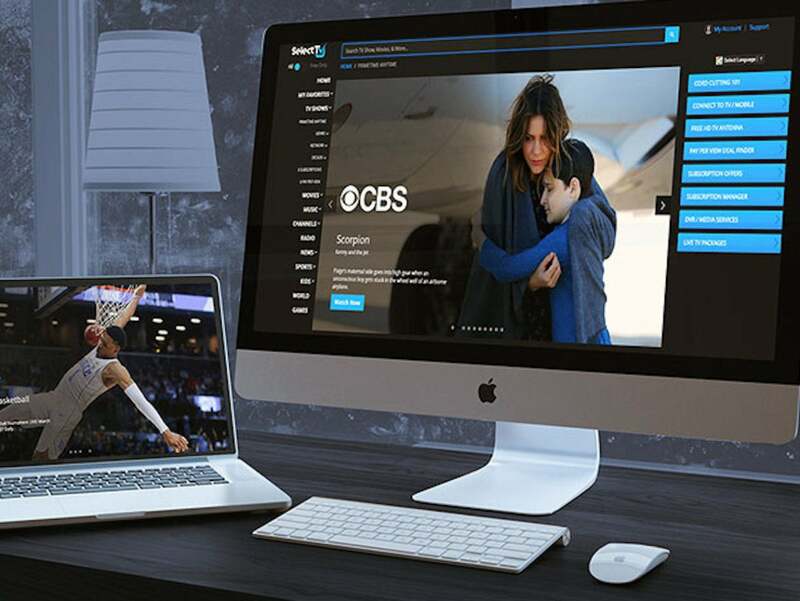 Plus, those who sign up today can enjoy 9 free months of combined Free Trials of premium services including HBONow, Showtime, Netflix, Hulu, CBS All-Access, SlingTV, and Amazon Prime Video. A one-year subscription to SelectTV normally retails for $29.99, but you can get it on sale for $19, saving over 30 percent off the usual price.